Shallow Obsessions About Fashion: Rose gold accents, anyone? Just in time for Earth Day 2012, Range Rover unveiled a special edition of its most fuel efficient vehicle (yes, there is such thing!) 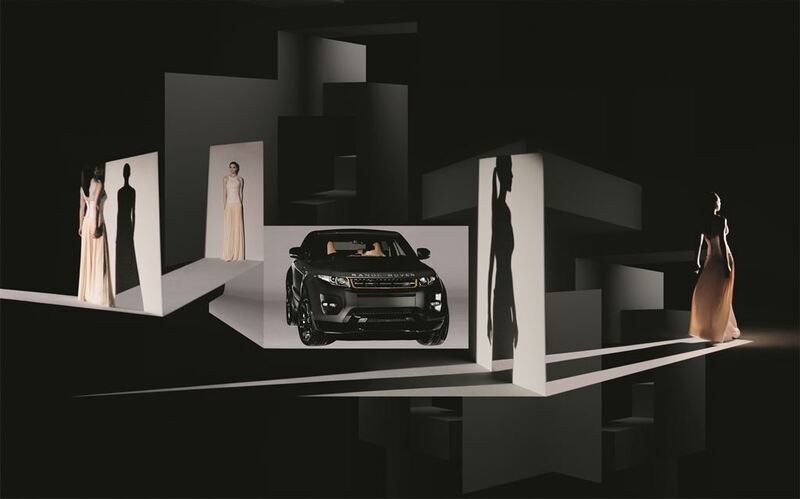 in Beijing- the 2012 Range Rover Evoque Special Edition with Victoria Beckham. Not only was the Evoque hot - the Nick Knight fashion shoot was amazing. Remember when VB was named the Creative Design Executive (aka: celebrity guest designer) a couple years ago? Sure, her role in working with RR Design Director Gerry McGovern was a little more than just picking colours and trim, but I must admit she does have good taste and the results are gorgeous. The Financial Post article on the Beijing Evoque unveiling goes a lot further into the creative process and VB's inspirations. I really love the rose gold trim on the front grill and 20" rims. Rose gold is so hot in accessories right now, and the hand-finished "Stornoway" matte grey is pretty cool. The vehicle itself maintains the same features as the four seater coupe version with 240 hp and 2.0 L engine. I would agree that it is a timeless and classic look for the baby RR. They will be making only 200 of these bespoke Evoques and the target market will probably be the BRIC countries of China, Russia, and Brazil. As this weird guy who came up to us on the street while we test drove the Evoque said: "What a horny ride!!" Well, horny comes with rose gold accents now! 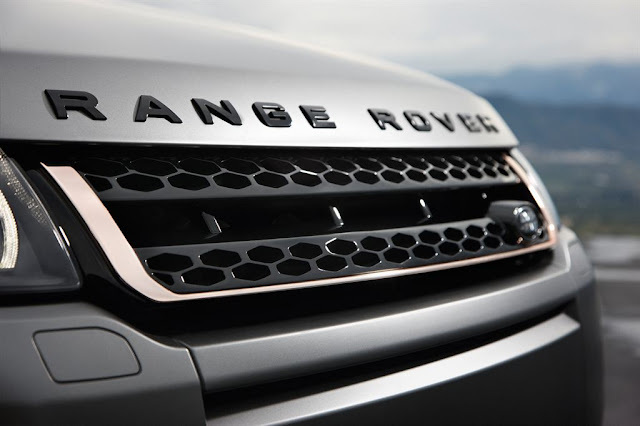 Check it out at Land Rover's site.